Brittany can pride itself on the Armorican arrowheads found in Early Bronze Age graves (2150-1700 BC). In the present state of knowledge, these are the only specialized craft products in knapped flint produced in this region at the western edge of continental Europe. Admired since the 19th century, these flint arrowheads have never really been studied. Due to the wealth of graves and grave-goods, a relatively precise study can be undertaken of the development of these craft products, despite the low number of reliable radiocarbon dates. These arrowheads are characterized by a well-defined type (pointed tang and oblique barbs) most often combined with ogival form. Raw materials show the selection of a high quality yellow translucent flint, of which the origin has to be sought at more than 400 kilometers (Lower Turonian flint from Cher Valley). From a technical point of view, Armorican arrowheads reveal a great mastery of retouch by pressure-flaking. This skill is written in stone by the perfection of forms, the extreme thinness (until 2,5 mm thick) and very long barbs (until 25 mm long). Such work could not have been done without the use of copper, even bronze, awls. Moreover, some marks may testify to the implication of these tools. On 549 arrowheads that have reached to us, none of them presents diagnostical impact features. However, use-wear analysis indicates that most of them were hafted (adhesive traces, bright spots, blunt edges). These facts suggest that they are less functional arrowheads than objects for the show. In the graves, Armorican arrowheads are frequently set down carefully in wooden boxes taking the shaft off. The Armorican arrowheads with their exotic raw materials, their high-degree of technicality, and their absence of use, have all features of a prestige good. They have been discovered by dozens in few graves under barrows with very rich funeral items (bronze daggers decorated with golden pins, precious bracers, silver beakers, etc.). According to these obvious facts, they symbolize the power of the elites. The genesis of Armorican arrowheads are in all likelihood explained by a climate of increasing social competition, which express itself in Brittany by an individualization of burial rites, a development of metalworking and a reorganization of territories. In this article, we will stress on raw materials selection, technology and know-how, as well as use-wear analyses. All these approaches will help us to trace the biographies of the Armorican arrowheads. Apel, J. 2001, Daggers, knowledge and power: The social aspects of flint-dagger technology in Scandinavia 2350-1500 cal BC, Department of Archaeology and ancient History, Uppsala, 365 p.
Butler, J.J. 1990, Bronze Age Metal and Amber in the Netherlands, Palaeohistoria, 32: 47-110. Costin, C.L. 1991, Craft Specialization: Issues in Defining, Documenting, and Explaining the Organization of Production, In: Archaeological Method and Theory (Schiffer, M.B., ed. ), the University of Arizona Press, Tucson, 3: 1-56. Druart, C. 2010, Production and function of stone arrowheads in the Mycenaean civilization: A techno-morphological and functional approach, In: Lithic technology in metal using societies, Proceedings of a UISPP Workshop, Lisbon, September 2006 (Eriksen, B.V., ed. 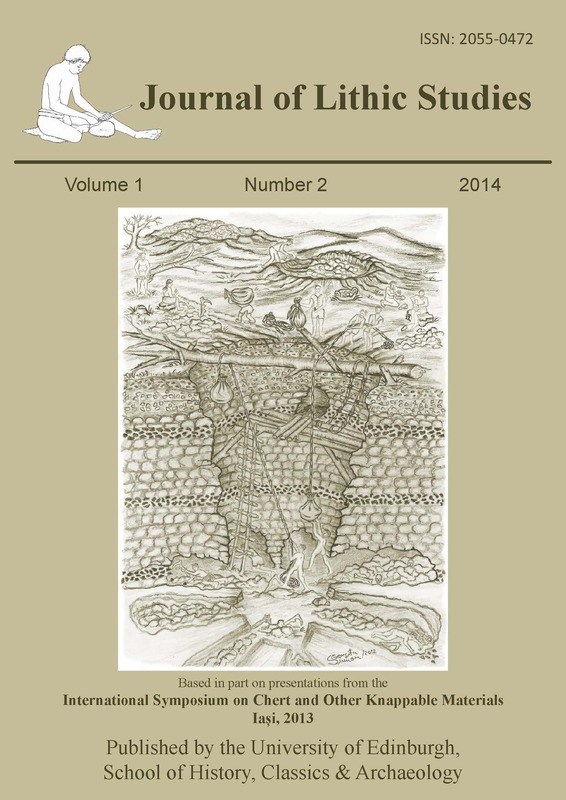 ), Jutland archaeological Society Publications 67, Jutland archaeological Society Højbjerg: 143-155. Kardulias, P.N. 2007, Flaked Stone and the Role of the Palaces in the Mycenaen World System, In: Rethinking Mycenaean Palaces II, revised and expanded second edition (Galaty, M.L., & Parkinson, W.A., eds. ), University of California Monograph 60, Cotsen Institute of Archaeology, Los Angeles: 102-113. Keeley, L. H. 1980, Experimental determination of stones tool uses: a microwear analysis, University of Chicago, Chicago, 212 p.
Lukis, J.W. 1886, An account of the opening of a tumulus of the Bronze Age period, etc., in the department of Finistère, France, 1884, Transactions of the Cardiff Naturalists’ Society, 18: 12-16. Martin, A., & Berthelot du Chesnay, C. 1899, Exploration du tumulus de Tossen-Maharit, commune de Trévérec, Bulletin de la Société d’Émulation des Côtes-du-Nord, 37: 5-36. (in French) ("Investigations into the Tossen-Maharit barrow at Trévérec"). Ménez, Y., Hinguant, S., (2010) - Fouilles et découvertes en Bretagne, Ouest-France, Rennes, 143 p. (in French) ("Excavations and discoveries in Brittany"). Needham, S. 2000, Power Pulses Across a Cultural Divide: Cosmologically Driven Acquisition Between Armorica and Wessex, Proceedings of the prehistoric Society, 66: 151-207. Needham, S. 2009, Encompassing the Sea: ‘Maritories’ and Bronze Age maritime interactions, In: Bronze Age Connections: Cultural Contact in Prehistoric Europe (Clark, P., ed. ), Oxbow Books, Oxford: 12-37. Needham, S., Lawson, A.J., & Woodward, A. 2010, 'A Noble Group of Barrows': Bush Barrow and the Normanton Down Early Bronze Age Cemetery Two Centuries on, The Antiquaries Journal, 90: 1-39. Parkinson, W.A. 2007, Chipping Away at a Mycenaean Economy : Obsidian Exchange, Linear B, and “Palatial Control” in Late Bronze Age Messenia, In: Rethinking Mycenaean Palaces II, revised and expanded second edition (Galaty, M.L., & Parkinson, W.A., eds. ), University of California Monograph 60, Cotsen Institute of Archaeology, Los Angeles: 87-101. Rots, V. 2002, Bright spots and the question of hafting, Anthropologica et Praehistorica, 113: 61-72.